Mayoral Promises Missed or Fulfilled? In keeping with my campaign issues, where I called for bringing citizens into the decision-making process, there are a number of actions I will propose during my administration which I hope the Council will support and which I believe will move our hometown safely and thoughtfully into a more citizen-driven future. Here are a few of those initiatives. Over the next five minutes, she laid out a half dozen promises around financial management, charter reform, communications, citizen engagement, the environment, and others. 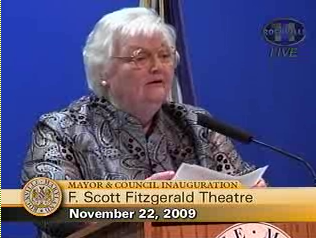 Now that she’s nearing the end of her first term as mayor and hoping to be elected to another, I’ll examine each of these over the next few months to see how’s she fared (and if possible, where the other council members and candidates stand as well and include some of my own analysis). Of course, you’ll be invited to share your opinions but because the election season can provoke stronger and sharper words, I’ll be placing a stronger hand on the rudder to keep us on topic (you’ll want to review the rules for commenting on this blog if you’re unsure what I mean). I am also closing comments after a period of 30-60 days so that we can move the conversation along.